Looking for a job that’s as satisfying as it is secure? 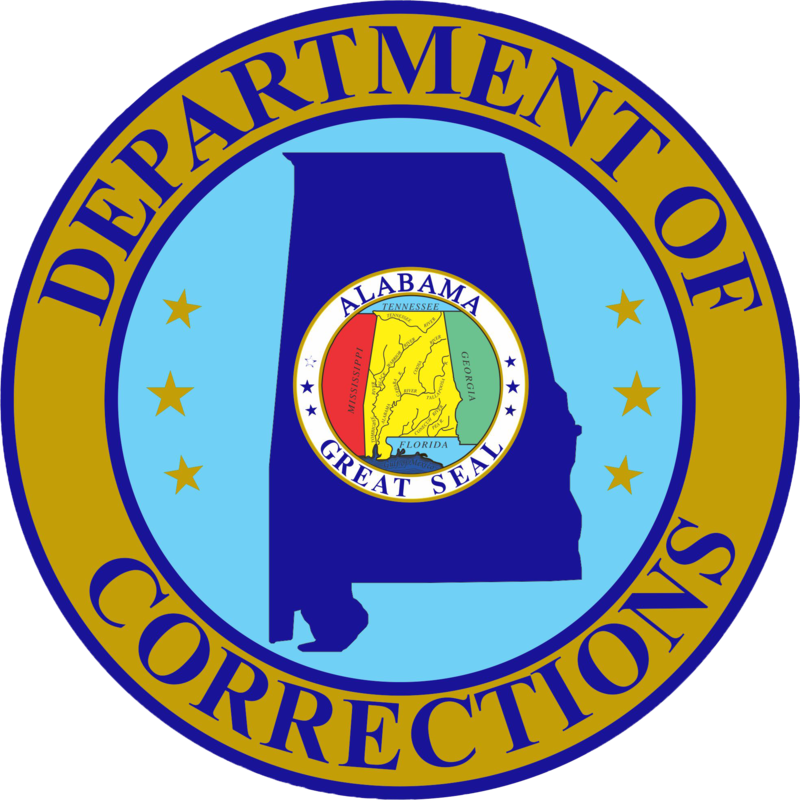 The on-site will be held at Donaldson Correctional Facility in Bessemer on May 03, 2019 at 7 a.m. Please arrive by 6:45 a.m. All you need is your driver’s license, a packed snack/lunch, and water. Plan to wear loose-fitting athletic clothing (but not white). Donaldson Correctional Facility is located at: 100 Warrior Ln, Bessemer, AL 35023. This website will collect, store, and use your personal data in the United States. Note that the United States may have different data protection laws from other countries. We do not share your data with any third parties unless you have given us your consent to do so. any other personal information you have given your consent to share with us. sending you periodic communications which you have requested or that we believe may be of interest to you regarding employment opportunities with the ADOC. Consent. We may process your personal data when you have given us your consent to use it for a certain purpose. Performance of a contract. We may process your personal data when we have entered into a contract with you and are performing our obligations under it, such as when we provide you with our services, products, or other information. Legal obligations. We may process your personal data when it is necessary to comply with a legal or regulatory obligation, such as if we were ordered to do so by a court. understanding better how people interact with our website so that we can offer services and information that better meet your needs and desires. When we legitimately process your personal data in this way, we consider and balance any potential impact on you (both positive and negative), and your rights under data protection laws. We will not use your personal data where our interests are overridden by the impact of its use on you, for example, where the use would be excessively intrusive (unless we are otherwise required or permitted to by law). We keep your personal data for no longer than is necessary to accomplish the purposes it is collected for. We will not retain your personal data if you request for us to remove it from our system or to transfer it elsewhere, unless otherwise required or permitted to by law. We process your data in a manner that ensures appropriate security, including protection against unauthorized or unlawful processing and against accidental loss, destruction, or damage, using appropriate technical and operational measures. We comply with generally accepted standards of technology and operational security in order to protect your personal data. Please note, however, that when you transmit your personal data to us over the internet, the security of your personal data cannot be guaranteed. As a result, while we strive to protect your personal information, we cannot guarantee the security of any information you transmit to us, and you do so at your own risk. Once we receive your information, we make our best effort to ensure its security on our systems. We will notify you promptly in the event of any breach of your personal data which might expose you to serious risk. Right of Access. You have the right to request access to your personal data. The first copy of your personal data will be given to you freely, but we can charge a reasonable fee for subsequent copies. Right of Rectification. You have the right to request the rectification of inaccurate or incomplete personal data. Right to Erasure (to be forgotten). There are a number of circumstances under which you have the right to ask us to erase your personal data. These include, for example, where the personal data was collected with your consent, but you have subsequently withdrawn your consent or where a court determines that we have no overriding legitimate basis for processing your data. However, we may not erase your personal data if we are not permitted to do so by law or if we must retain it for the establishment, exercise, or defense of legal claims. Right to Restriction of Processing. There are a number of circumstances under which you have the right to ask us to restrict our processing of some or all of your data. For example, if you contest the accuracy of our data or the lawfulness of its processing, you may ask us to restrict our processing. Right to Data Portability. If we are processing your personal data based on your consent or in order to enter into or carry out a contract with you, and if the processing is being done by automated means, you have the right to ask us to provide your personal data to you or to transmit it to another controller. The Right to Object. You have the right to object to processing when we use your personal data based on our legitimate interests or for direct marketing. Any changes we may make to this policy in the future will be posted on our website, so please check this page occasionally to ensure that you are comfortable with any changes. This Website is offered and available to users who are 19 years of age or older. By using this Website, you represent and warrant that you are of legal age to form a binding contract with the ADOC and meet all of the foregoing eligibility requirements. If you do not meet all of these requirements, you must not access or use the Website. The Website and its entire contents, features, and functionality (including but not limited to all information, software, text, displays, images, video, and audio, and the design, selection, and arrangement thereof) are owned by the ADOC, its licensors, or other providers of such material and are protected by United States and international copyright, trademark, patent, trade secret, and other intellectual property or proprietary rights laws. All names, logos, product and service names, designs, and slogans on this Website are the trademarks of their respective owners. You must not use such marks without the prior written permission of their respective company owners. To impersonate or attempt to impersonate the ADOC, an ADOC employee, another user, or any other person or entity (including, without limitation, by using email addresses associated with any of the foregoing). To engage in any other conduct that restricts or inhibits anyone’s use or enjoyment of the Website, or which, as determined by us, may harm the ADOC or users of the Website or expose them to liability. The information presented on or through the Website is made available solely for general information purposes only. Use of the Website does not guarantee employment by the ADOC. We do not warrant the accuracy, completeness, or usefulness of this information. Any reliance you place on such information is strictly at your own risk. We disclaim all liability and responsibility arising from any reliance placed on such materials by you or any other visitor to the Website, or by anyone who may be informed of any of its contents. This Website may include content provided by third parties, including materials provided by other users, bloggers, and third-party licensors, syndicators, aggregators, and/or reporting services. All statements and/or opinions expressed in these materials, and all articles and responses to questions and other content, other than the content provided by the ADOC, are solely the opinions and the responsibility of the person or entity providing those materials. These materials do not necessarily reflect the opinion of the ADOC. We are not responsible, or liable to you or any third party, for the content or accuracy of any materials provided by any third parties. You may link to our homepage, but you must not establish a link in such a way as to suggest any form of association, partnership, agency, approval, or endorsement on our part without our express written consent. YOUR USE OF THE WEBSITE, ITS CONTENT, AND ANY SERVICES OR ITEMS OBTAINED THROUGH THE WEBSITE IS AT YOUR OWN RISK. THE WEBSITE, ITS CONTENT, AND ANY SERVICES OR ITEMS OBTAINED THROUGH THE WEBSITE ARE PROVIDED ON AN “AS IS” AND “AS AVAILABLE” BASIS, WITHOUT ANY WARRANTIES OF ANY KIND, EITHER EXPRESS OR IMPLIED. NEITHER THE ADOC NOR ANY PERSON ASSOCIATED WITH THE ADOC MAKES ANY WARRANTY OR REPRESENTATION WITH RESPECT TO THE COMPLETENESS, SECURITY, RELIABILITY, QUALITY, ACCURACY, OR AVAILABILITY OF THE WEBSITE. WITHOUT LIMITING THE FOREGOING, NEITHER THE ADOC NOR ANYONE ASSOCIATED WITH THE ADOC REPRESENTS OR WARRANTS THAT THE WEBSITE, ITS CONTENT, OR ANY SERVICES OR ITEMS OBTAINED THROUGH THE WEBSITE WILL BE ACCURATE, RELIABLE, ERROR-FREE, OR UNINTERRUPTED, THAT DEFECTS WILL BE CORRECTED, THAT OUR SITE OR THE SERVER THAT MAKES IT AVAILABLE ARE FREE OF VIRUSES OR OTHER HARMFUL COMPONENTS, OR THAT THE WEBSITE OR ANY SERVICES OR ITEMS OBTAINED THROUGH THE WEBSITE WILL OTHERWISE MEET YOUR NEEDS OR EXPECTATIONS. TO THE FULLEST EXTENT PROVIDED BY LAW, THE ADOC HEREBY DISCLAIMS ALL WARRANTIES OF ANY KIND, WHETHER EXPRESS OR IMPLIED, STATUTORY, OR OTHERWISE, INCLUDING BUT NOT LIMITED TO ANY WARRANTIES OF MERCHANTABILITY, NON-INFRINGEMENT, AND FITNESS FOR PARTICULAR PURPOSE. TO THE FULLEST EXTENT PROVIDED BY LAW, IN NO EVENT WILL THE ADOC, ITS AFFILIATES, OR THEIR LICENSORS, SERVICE PROVIDERS, EMPLOYEES, AGENTS, OFFICERS, OR DIRECTORS BE LIABLE FOR DAMAGES OF ANY KIND, UNDER ANY LEGAL THEORY, ARISING OUT OF OR IN CONNECTION WITH YOUR USE, OR INABILITY TO USE, THE WEBSITE, ANY WEBSITES LINKED TO IT, ANY CONTENT ON THE WEBSITE OR SUCH OTHER WEBSITES, INCLUDING ANY DIRECT, INDIRECT, SPECIAL, INCIDENTAL, CONSEQUENTIAL, OR PUNITIVE DAMAGES, INCLUDING BUT NOT LIMITED TO, PERSONAL INJURY, PAIN AND SUFFERING, EMOTIONAL DISTRESS, LOSS OF REVENUE, LOSS OF PROFITS, LOSS OF BUSINESS OR ANTICIPATED SAVINGS, LOSS OF USE, LOSS OF GOODWILL, LOSS OF DATA, AND WHETHER CAUSED BY TORT (INCLUDING NEGLIGENCE), BREACH OF CONTRACT, OR OTHERWISE, EVEN IF FORESEEABLE. NOTHING IN THIS AGREEMENT SHALL BE DEEMED A WAIVER OF ANY IMMUNITY PROVIDED UNDER EITHER FEDERAL OR STATE LAW TO THE ADOC.